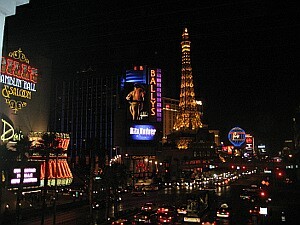 Viva Las Vegas & Los Data Centers! I’m currently here in Las Vegas attending Gartner’s Data Center conference. It’s day two and I’ve been very impressed with the quality of the sessions so far. In particular I thought yesterday’s keynote was very good and I wanted to share my notes from the talk. The surprising figure is that 80% of this will be unstructured data and this will be a big issue. Twitter grew by 1,382% in ’08, 62% of that growth came from 39-51 year olds. Advice for CIOs: start paying attention to what’s going on in this space and get involved. It won’t go away. # of text msgs sent in the last 24 hours exceeded the total population of the planet (and this stat is a year old!). Apps are typically priced around $1.99 (when they’re not free), think of how much the same app would have cost if you had to buy it for your PC. Stay tuned, more from the conference to come. This entry was posted on Wednesday, December 2nd, 2009 at 9:17 pm and is filed under Uncategorized. You can follow any responses to this entry through the RSS 2.0 feed. You can leave a response, or trackback from your own site.